BY VISITING THE SITE AND USING ITS SERVICES, YOU AGREE TO THESE TERMS; IF YOU DO NOT AGREE, DO NOT USE THE SITE OR ANY OTHER ALIVEINVITE SERVICES. Description of Service:AliveInvite is an online platform to create, send, distribute and receive custom digital invitations and stationery and other events related products (collectively "Services" or "Invitation(s)" or "stationery"). Our products and Services provide hosts with online tools to design, and distribute invitations with features to facilitate and manage events ("Host" or "Sender"), and provide guests with ability to communicate their response and utilize services to participate in the event ("Guest" or "Receiver"). Our Service may also integrate or otherwise link to products and services offered by third parties, including a web-to-print product vendor, gift registries and other products and services to facilitate and manage events. Such third party products and services may be subject to the additional and/or alternate terms and conditions and privacy policies of the third party providers. Age:AliveInvite takes a child’s privacy very seriously. Our Service is not designed or intended to be used by children. If you are under 13 years of age, you are not authorized to use the Service, with or without registering. In addition, if you are between 13 and 18 years of age, you may use the Service, with or without registering, only with the approval of your parent or guardian. Your registration obligations:You must register with AliveInvite in order to access certain functions of the Service. Users who register with AliveInvite ("Member(s)") may have access to certain Site functions and features. Only a Member Host may use the Service to design, save, send through the Site or create a link to distribute invitation off the Site (by SMS, WhatsApp, email or social media), and track, collect responses, message and manage events on the Site event page. Only a Member Host and Guest may access their account history of events sent or received for past and upcoming events, upload and store address book contacts, upload event photos, send messages through the Site and manage real-time email and push notifications in Website and Apps account settings. Any Guest can RSVP to an invitation or leave comments on event page on the Site, without becoming a Member. If you choose to register for the Service, you agree to provide and maintain current and accurate information about yourself as prompted by the Service’s registration form. Once registered, you are a Member with a password to use the Service. Member account, password and security:Members are responsible for maintaining the confidentiality of their login credentials and account information, and are fully responsible for any and all activities that occur under their password or account. Members agree to (a) immediately notify AliveInvite of any suspected or actual unauthorized use of a Member password or account or any other breach of security, and (b) ensure that Members exit from their Member account at the end of each session when accessing the Service. AliveInvite will not be liable for any loss or damage arising from a Member’s failure to comply with this term. Modifications to Service:AliveInvite reserves the right to modify or discontinue, temporarily or permanently, the Service (or any part or feature thereof) with or without notice. Without limiting the generality of the forgoing, AliveInvite may change its pricing at any time or add new fees and charges from time to time, but will provide notice to you of these changes via information on the Site. You agree that AliveInvite shall not be liable to you or to any third party for any modification, suspension or discontinuance of the Service. General practices regarding use and storage:You acknowledge that AliveInvite may establish general practices and limits concerning use of the Service, including without limitation the maximum period of time that data or other content will be retained by the Service on AliveInvite’s servers on your behalf. You agree that AliveInvite has no responsibility or liability for the deletion or failure to store any data or other content maintained or transmitted by the Service. You acknowledge that AliveInvite reserves the right to terminate accounts that are inactive for an extended period of time. You further acknowledge that AliveInvite reserves the right to change these general practices and limits at any time, in its sole discretion, with or without notice. Special notice for International Users:Recognizing the global nature of the Internet, you agree to comply with all applicable laws, rules and regulations regarding online conduct and acceptable content. Specifically, you agree to comply with all applicable laws regarding the transmission of data exported from the country in which you reside. No resale of Service:Unless otherwise specified, you agree not to display, distribute, license, perform, publish, reproduce, duplicate, copy, create derivative works from, modify, sell, resell, exploit, transfer or transmit for any commercial purposes, any portion of the Service, use of the Service, or access to the Service. You acknowledge and agree that the Service may contain content ("Service Content") that is protected by copyright, patent, trademark, trade secret or other proprietary rights and laws. Except as expressly authorized by AliveInvite, you agree not to modify, copy, frame, scrape, rent, lease, loan, sell, distribute or create derivative works based on the Service or the Service Content, in whole or in part, except that the foregoing does not apply to your own User Content (as defined below) that you legally upload to the Site. Provided that you are eligible for use of the Service, you are granted a limited license to access and use the Site and the Service Content and to download or print a copy of any portion of the Service Content to which you have properly gained access solely for your personal, non-commercial use, provided that you keep all copyright or other proprietary notices intact. Such license is subject to these Terms and does not permit use of any data mining, robots, scraping or similar data gathering or extraction methods. Any use of the Site or the Service Content other than as specifically authorized herein, without the prior written permission of AliveInvite, is strictly prohibited and will terminate the license granted herein. The technology and software underlying the Service is the property of AliveInvite, our affiliates and our partners (the "Software"). Except to the extent permitted by the law notwithstanding any contractual prohibition, you agree not to copy, modify, create a derivative work of, reverse engineer, reverse assemble or otherwise attempt to discover any source code, sell, assign, sublicense, or otherwise transfer any right in the Software. Any rights not expressly granted herein are reserved. The "AliveInvite" name and logo are trademarks and service marks of AliveInvite (collectively the "AliveInvite Trademarks"). Other company, product, and service names and logos used and displayed via the Service may be trademarks or service marks of their respective owners who may or may not endorse or be affiliated with or connected to AliveInvite. Nothing in these Terms or the Service should be construed as granting, by implication, estoppel, or otherwise, any license or right to use any of AliveInvite Trademarks displayed on the Service, without our prior written permission in each instance. All goodwill generated from the use of AliveInvite Trademarks will inure to our exclusive benefit. Third party material:Under no circumstances will AliveInvite be liable in any way for any content posted by third-parties or at the direction of users, including, but not limited to, for any errors or omissions in any content, or for any loss or damage of any kind incurred as a result of the use of any content posted, emailed or otherwise transmitted via the Service. 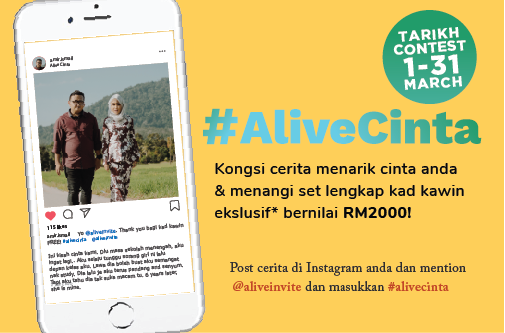 You acknowledge that AliveInvite does not pre-screen content, but that AliveInvite and its designees shall have the right (but not the obligation) in their sole discretion to refuse or remove any content that is available via the Service. Without limiting the foregoing, AliveInvite and its designees shall have the right to remove any content that violates the Terms or is deemed by AliveInvite, in its sole discretion, to be otherwise objectionable. You agree that you must evaluate, and bear all risks associated with, the use of any content, including any reliance on the accuracy, completeness, or usefulness of such content. User content posted on the Site:You are solely responsible for the content and other materials you post on or through the Service or the Site or transmit to or share with other users or recipients (collectively, "User Content"). You will not post any User Content that you did not create or that you do not own all right, title and interest in and to, including, without limitation, all copyright and rights of publicity contained therein. By posting any User Content you hereby grant and will grant AliveInvite and its affiliated companies and agents a nonexclusive, worldwide, royalty free, fully paid up, transferable, sublicenseable, perpetual, irrevocable license to copy, display, transmit, distribute, store, modify and otherwise use your User Content in connection with the operation of the Service or the promotion, advertising or marketing thereof, in any form, medium or technology now known or later developed. AliveInvite and its designees may, but have no obligation to, remove, edit, block, and/or monitor User Content at any time for any reason, including activity which, in its sole judgment: violates the Terms; violates applicable laws, rules, or regulations; is abusive, disruptive, offensive, illegal, or otherwise objectionable; or violates the rights of, or harms or threatens the safety of users of the Service. You acknowledge and agree that AliveInvite may preserve User Content and may also disclose User Content if required to do so by law or in the good faith belief that such preservation or disclosure is reasonably necessary to: (a) comply with legal process, applicable laws or government requests; (b) enforce the Terms; (c) respond to claims that any content violates the rights of third parties; or (d) protect the rights, property, or personal safety of AliveInvite, its users and the public. You understand that the technical processing and transmission of the Service, including your content, may involve (a) transmissions over various networks; and (b) changes to conform and adapt to technical requirements of connecting networks or devices. You acknowledge and agree that upon a request from a Guest, you will remove that Guest’s name from a public guest list on the event page, or Customer Support will remove it, if the Guest emails support@aliveinvite.com. You acknowledge and agree that any questions, comments, suggestions, ideas, feedback or other information about the Site or the Service ("Submissions"), provided by you to AliveInvite are non-confidential and AliveInvite shall be entitled to the unrestricted use and dissemination of these Submissions for any purpose, commercial or otherwise, without acknowledgment or compensation to you. Repeat infringer policy:In accordance with all applicable law, AliveInvite has adopted a policy of terminating, in appropriate circumstances and at AliveInvite’s sole discretion, Members who are deemed to be repeat infringers. AliveInvite may also at its sole discretion limit access to the Site and/or terminate the accounts of any Members who infringe any intellectual property rights of others, whether or not there is any repeat infringement. The Service, our Members, or third parties may provide, links or otherwise direct users to other sites, services and resources on the Internet or otherwise. 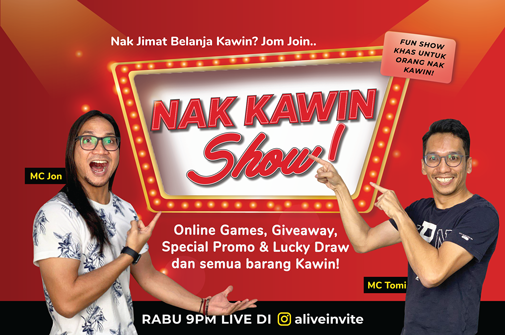 AliveInvite has no control over such sites and resources and AliveInvite is not responsible for and does not endorse such sites, services and resources. You further acknowledge and agree that AliveInvite shall not be responsible or liable, directly or indirectly, for any damage or loss caused or alleged to be caused by or in connection with use of or reliance on any content, events, goods or services available on or through any such hyperlinked site, service or resource. Your correspondence, dealings and other interactions with organizations and/or individuals found on or through the Service, including promotion and/or attendance at any event, electronic or personal communications, payment and delivery of goods or services, posting of content, and any other terms, conditions, warranties or representations associated with such dealings, are solely between you and such organizations and/or individuals. You should make whatever investigation you feel necessary or appropriate before proceeding with any online or offline transaction or communication with any of these third parties or attending any event posted or promoted through the Service or publicly distributed on the web or otherwise. You agree that AliveInvite shall not be responsible or liable for any loss or damage of any sort incurred as the result of any such dealings or your attendance at any such event. By using the Service, to send an event invitation via email through the Site or to distribute it through a third party service via a link to the invitation or otherwise, and/or attending any such event, you agree to release, discharge and hold harmless AliveInvite and its subsidiaries and affiliates, from any and all losses, damages, rights, claims, actions of any kind and injury (including death) arising out of or relating to the Service or any act or omission by any person, including without limitation, any dispute between you and any other person, any content posted on the Site, and your attendance at any event posted on, or promoted through, the Service or publicly distributed on the web. This release includes, without limitation, any claim resulting from delay and the criminal acts of others. You agree to indemnify, defend and hold AliveInvite and its subsidiaries and affiliates, harmless from any claim or demand, including reasonable attorneys’ fees, made by any third party due to or arising out of or relating to the Services, including without limitation, any event sent , or promoted through, the Service or publicly distributed through a third party service on the web, any content posted to or transmitted through the Service, or publicly distributed through a third party service on the web, your use of the Service, your connection to the Service, your violation of the Terms or your violation of any rights of another. YOUR USE OF THE SERVICE IS AT YOUR SOLE RISK. EXCEPT AS EXPRESSLY PROVIDED IN THE FOREGOING SECTION, THE SERVICE IS PROVIDED ON AN "AS IS" AND "AS AVAILABLE" BASIS. ALIVEINVITE EXPRESSLY DISCLAIMS ALL WARRANTIES OF ANY KIND, WHETHER EXPRESS, IMPLIED OR STATUTORY, INCLUDING, BUT NOT LIMITED TO THE IMPLIED WARRANTIES OF MERCHANTABILITY, SATISFACTORY QUALITY, FITNESS FOR A PARTICULAR PURPOSE, TITLE AND NON-INFRINGEMENT. ALIVEINVITE MAKES NO WARRANTY THAT (I) ANY EVENT OR THE SERVICE WILL MEET YOUR REQUIREMENTS, (II) THE SERVICE WILL BE UNINTERRUPTED, TIMELY, SECURE, OR ERROR-FREE, (III) THE RESULTS THAT MAY BE OBTAINED FROM THE USE OF THE SERVICE WILL BE ACCURATE OR RELIABLE, (IV) THE QUALITY OF ANY PRODUCTS, SERVICES, INFORMATION, OR OTHER MATERIAL PURCHASED OR OBTAINED BY YOU THROUGH THE SERVICE WILL MEET YOUR EXPECTATIONS, AND (V) ANY ERRORS WILL BE CORRECTED. ANY MATERIAL DOWNLOADED OR OTHERWISE OBTAINED THROUGH THE USE OF THE SERVICE IS DONE AT YOUR OWN DISCRETION AND RISK AND THAT YOU WILL BE SOLELY RESPONSIBLE FOR ANY DAMAGE TO YOUR COMPUTER SYSTEM OR EQUIPMENT OR LOSS OF DATA THAT RESULTS FROM THE DOWNLOAD OR USE OF ANY SUCH MATERIAL. NO INFORMATION, WHETHER ORAL OR WRITTEN, OBTAINED BY YOU FROM ALIVEINVITE OR THROUGH OR FROM THE SERVICE SHALL CREATE ANY WARRANTY NOT EXPRESSLY STATED IN THE TERMS. ALWAYS USE CAUTION WHEN GIVING OUT ANY PERSONALLY IDENTIFIABLE INFORMATION ABOUT YOURSELF OR YOUR CHILDREN OR WHEN POSTING PHOTOS OR VIDEOS OF YOURSELF OR YOUR CHILDREN. 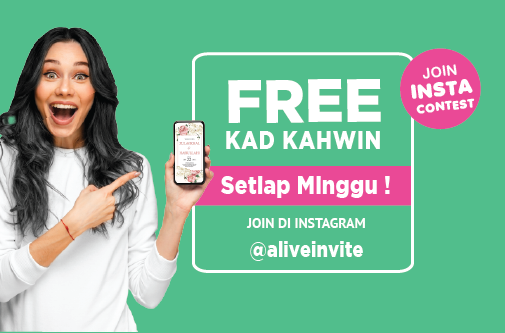 ALIVEINVITE DOES NOT CONTROL OR ENDORSE THE CONTENT, MESSAGES OR INFORMATION FOUND ON THE SERVICE AND, THEREFORE, ALIVEINVITE SPECIFICALLY DISCLAIMS ANY LIABILITY WITH REGARD TO THE SERVICE AND ANY OTHER ACTIONS RESULTING FROM YOUR PARTICIPATION IN THE SERVICE. YOU EXPRESSLY UNDERSTAND AND AGREE THAT ALIVEINVITE AND THE ALIVEINVITE ENTITIES SHALL NOT BE LIABLE FOR ANY DIRECT, INDIRECT, INCIDENTAL, SPECIAL, CONSEQUENTIAL, EXEMPLARY DAMAGES, OR DAMAGES FOR LOSS OF PROFITS INCLUDING BUT NOT LIMITED TO, DAMAGES FOR LOSS OF GOODWILL, USE, DATA OR OTHER INTANGIBLE LOSSES (EVEN IF ALIVEINVITE HAS BEEN ADVISED OF THE POSSIBILITY OF SUCH DAMAGES), WHETHER BASED ON CONTRACT, TORT, NEGLIGENCE, STRICT LIABILITY OR OTHERWISE, RESULTING FROM: (I) THE POSTING OF OR ATTENDANCE AT ANY EVENT, (II) THE USE OR INABILITY TO USE THE SERVICE; (III) THE COST OF PROCUREMENT OF SUBSTITUTE GOODS AND SERVICES RESULTING FROM ANY GOODS OR SERVICES PURCHASED OR OBTAINED OR MESSAGES RECEIVED OR TRANSACTIONS ENTERED INTO THROUGH OR FROM THE SERVICE; (IV) UNAUTHORIZED ACCESS TO OR ALTERATION OF YOUR TRANSMISSIONS OR DATA; (V) STATEMENTS, CONTENT OR CONDUCT OF ANY THIRD PARTY ON THE SERVICE; OR (VI) ANY OTHER MATTER RELATING TO THE SERVICE. IN NO EVENT SHALL ALIVEINVITE’S TOTAL LIABILITY TO YOU FOR ALL DAMAGES, LOSSES OR CAUSES OF ACTION EXCEED THE GREATER OF THE TOTAL FEES PAID BY YOU FOR THE SERVICES GIVING RISE TO THE CAUSE OF ACTION, OR ONE HUNDRED DOLLARS ($100). IN NO EVENT WILL ALIVEINVITE OR ANY ALIVEINVITE ENTITY BE LIABLE OR RESPONSIBLE FOR ANY FAILURE TO PERFORM, OR DELAY IN PERFORMANCE OF, ANY OF OUR OBLIGATIONS THAT IS CAUSED BY EVENTS OUTSIDE OUR REASONABLE CONTROL. IF YOU ARE BASED IN THE UK OR EU, NOTHING IN THESE TERMS SHALL LIMIT OR EXCLUDE OUR LIABILITY TO YOU FOR: DEATH OR PERSONAL INJURY CAUSED BY OUR NEGLIGENCE; FRAUD OR FRAUDULENT MISREPRESENTATION; OR ANY LIABILITY THAT MAY NOT BE LIMITED OR EXCLUDED UNDER APPLICABLE LAW. You agree that AliveInvite, in its sole discretion, may suspend or terminate your account (or any part thereof) or use of the Service and remove and discard any content within the Service, for any reason, including, without limitation, for lack of use or if AliveInvite believes that you have violated or acted inconsistently with the letter or spirit of the Terms. Any suspected fraudulent, abusive or illegal activity that may be grounds for termination of your use of the Service, may be referred to appropriate law enforcement authorities. AliveInvite may also in its sole discretion and at any time discontinue providing the Service, or any part thereof, with or without notice. You agree that any termination of your access to the Service under any provision of these Terms may be effected without prior notice, and acknowledge and agree that AliveInvite may immediately deactivate or delete your account and all related information and files in your account and/or bar any further access to such files or the Service. Further, you agree that AliveInvite shall not be liable to you or any third-party for any termination of your access to the Service. The Terms constitute the entire agreement between you and AliveInvite and govern your use of the Service, superseding any prior agreements between you and AliveInvite with respect to the Service. You also may be subject to additional terms and conditions that may apply when you use affiliate services, third-party content or third-party software, and you represent and warrant that you will comply with all such additional terms and conditions. The failure of AliveInvite to exercise or enforce any right or provision of the Terms shall not constitute a waiver of such right or provision. If any provision of the Terms is found by a court of competent jurisdiction to be invalid, the parties nevertheless agree that the court should endeavor to give effect to the parties’ intentions as reflected in the provision, and the other provisions of the Terms remain in full force and effect. A printed version of this agreement and of any notice given in electronic form shall be admissible in judicial or administrative proceedings based upon or relating to this agreement to the same extent and subject to the same conditions as other business documents and records originally generated and maintained in printed form. The section titles in the Terms are for convenience only and have no legal or contractual effect. Notices to you may be made via either email or regular mail. The Service may also provide notices to you of changes to the Terms or other matters by displaying notices or links to notices generally on the Service. Please contact us to report any violations of the Terms or to pose any questions regarding these Terms or the Service.